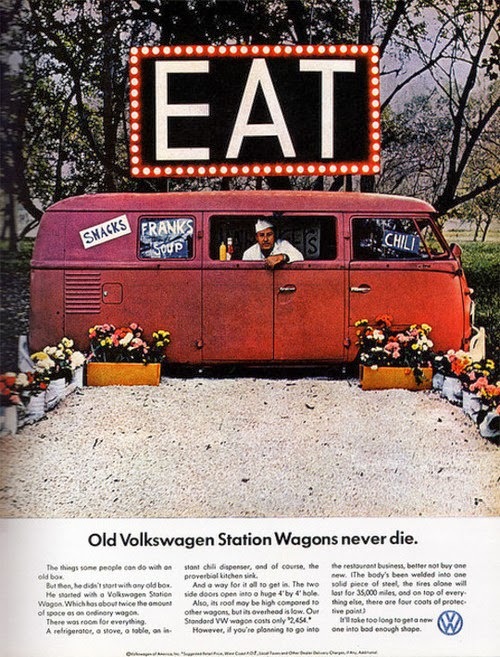 This vintage VW print ad shows an old VW bus as a food truck, essentially. They were so ahead of their time. Frank does look a little cramped, though, so maybe there's a reason why this never stuck.